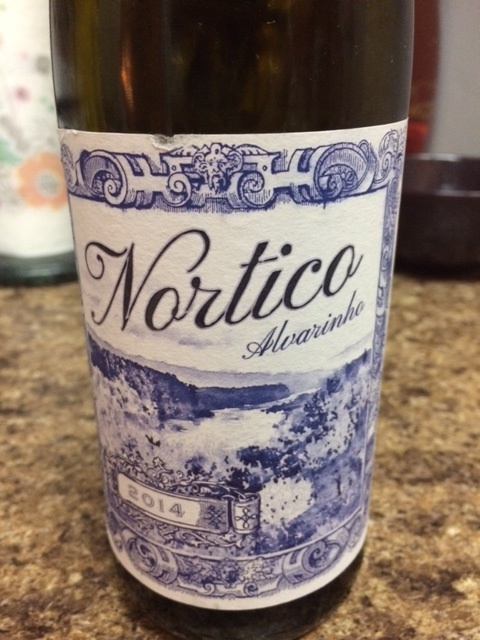 Alvarinho is – as I had suspected – Portuguese for Albarino, also known as a grape that makes a pretty fantastic wine for a 100+ degree day. This lower in alcohol, delicate white wine has great stonefruit and tropical notes. Peach comes out immediately but then it blends with the citrusy notes for a refreshing mouthfeel and finish. Excellent bright fruit. This wine would be delicious with ceviche, a salad, or just enjoy it on its own… it is light enough to be an aperitif. 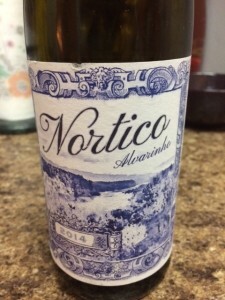 After trying this wine, I would love to find more albarino (alvarinho) from Portugal. I found this bottle at my local Whole Foods, and will seek out others!